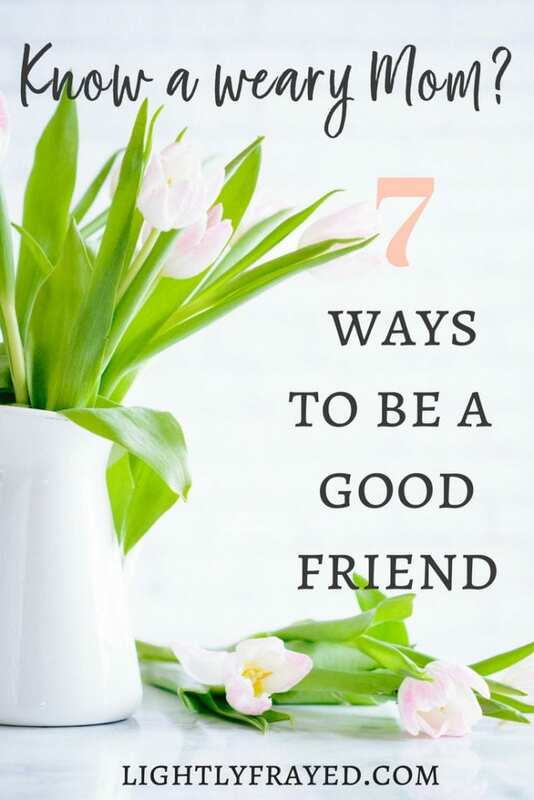 There are opportunities to be a good friend at every turn – especially to other tired Moms. And they often arrive without notice. The exhaustion in her eyes reminded me of my early years. This young woman trying to reason with her son who was not cooperating in the store. His compulsion rang through his repeated “I’m a bad boy. A bad boy.” She whispered calm reassurance and asked him to please just listen. This dance continued for a few moments until silence ensued. A few moments later, I felt a God-whisper to walk over to her. Tell her she is doing a good job. God and I debated for a few moments so I could be really certain I should interrupt their calm. He won. I try to offer any help when someone is struggling, but approaching this young Mom well after the fact felt intrusive. But who am I to argue with the One who knows her challenges intimately? Making my way over to where she was sitting, I swallowed my awkwardness. According to Lemon-Lime Adventures – I offered her a gumball. Her tear-filled eyes showed that she needed a pep talk. And really – don’t we all? We briefly exhanged stories and sighs. As I walked away, I prayed this simple moment would give her the strength to face the next parenting challenge. And maybe even the one after that. Reflect on the last time a friend made all the difference. When you were limping to the finish line and they carried you the rest of the way. Or you ached with discouragement and they whispered sacred hope. When your child wouldn’t listen and your hero stepped in, in all the right ways. No words can describe my gratitude for those who have helped me in my journey as a Mom. During seasons of a bit of margin, we can offer support to our friends and watch the rippling effect. Being a good friend is a sacred calling, as it often means loving from our own trenches. 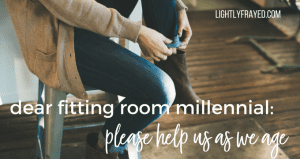 As women, we are hard-wired for this connection but may need a nudge to action since our lives are so full. When we sense a friend is struggling, let’s jump in swiftly before the next interruption tugs. Here are simple ideas to be a good friend and launch missions of mercy. Seasons of overwhelm are part of motherhood. Looming deadlines, family crises or piling clutter. Seek out practical ways to support your friend. Arrange for her husband to take the kids out and blitz the project you know will give her the biggest lift. Declutter a room together. Scrub forgotten floors. Double a recipe to give her the night off from cooking. If the crisis is significant, rally a team of women to sustain practical support. Be inspired by this story of twelve women who serve their friend when she is sick in their pyjamas and curlers. What project would help lighten your friend’s load? In the chaos of whirling washers, clanging cutlery and squabbling siblings our voices can feel muffled. If you sense your friend is not feeling heard, offer the gift of your undivided attention. Schedule a phone call during quiet hours for both of you, or meet at a coffee shop. Ask probing questions to help her unburden. Hear what is being said and what she leaves unsaid. Relive the unrushed listening we did as younger women before children filled our lives. What questions would help your friend feel heard? When I had three boys close together, I would soak my feet in their tub while giving them a bath. They drove their tugboats around my weary ankles and I inhaled a quick pause. Certainly not decadent, but we do what we can. Lathering, rinsing and repeating with young ones leaves little time for mom to care for herself. Plan a time to pamper your friend. Play spa-like music and set up foot baths for each of you. Do each other’s makeup and manicures while watching an inspiring movie. Remember that the girl in all of us needs to feel beautiful. What simple or decadent gesture would make your friend feel pampered? Sometimes life’s routines are wearisome. If your friend values spontaneity, surprise her with a kidnapping. Organize with an insider who can take care of the kids. Blindfold her and lead her to an adventure reminiscent of pre-children days. Take a cooking class. Go rock climbing. Stay out late at a drive-in. What adventure would invigorate your friend? Disappointments can hit hard. 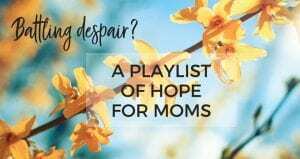 Prayerfully select a song that mirrors your friend’s struggle and offers hope. My lifelong friend used to say she wished she could fluff me up in the dryer when I felt discouraged. Years later, during a tough season, she sent me a simple gift from across the country. I opened it to reveal a package of dryer sheets (miss you, Tracy). Without words, her unspoken message was clear: I am here for you. You will get through this. What imagery would touch the heart of your friend? 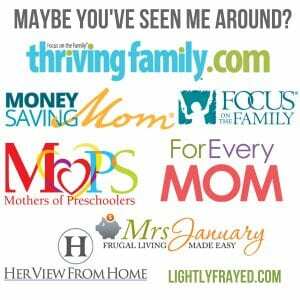 Moms can forget their worth, hit a speed bump in marriage or feel stuck with a parenting issue. Your friend may not know where to turn to begin to find answers. And she may not have time to hunt. Outsource her question anonymously on social media to glean the best wisdom. You can say ‘I’m asking for a friend’ and really mean it. Share your favourite book or forward an article to offer perspective and wisdom. What resource would most inspire your friend in this season? During certain seasons, the only dreams moms manage is when their heads hit the pillow. If your friend finds a dream to pursue, be her cheerleader. Wave those pom poms proudly. 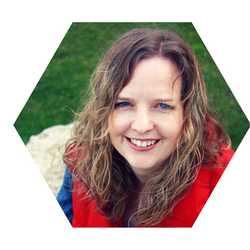 Help her create a plan with small steps and realistic deadlines. Connect her with others who have necessary skills to stay on track. Believing in your friend is the greatest gift you can offer. How do I know? Sharing these words with you is a dream many friends cheered me into chasing. What dream can you help your friend pursue? 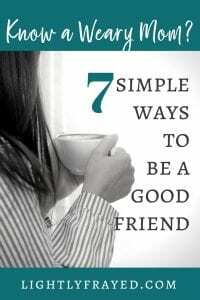 The secret in knowing how to be a good friend? Leap into action as only Moms can. Replenishing another mom overflows into her ability to care for the many people who depend on her. In beautiful reciprocity, supporting others breathes life into our own journey too. 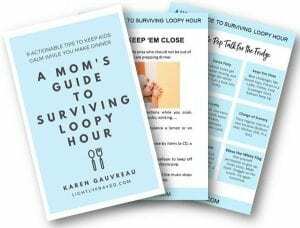 Karen, this is AMAZING advice to those mommas who have passed through the trenches and survived!! I LONG to be this friend, to be this hero to a fellow mommy friend…but I’m stuck in the trenches for several more years, and those mommy heros (as you called them) are what makes or breaks certain seasons of life as we strive for community, but are so incapable of fully engaging in them. I do appreciate this wisdom!!! As I read your words, Christi, I am reminded that there is a season for everything. When I was potty training full-time, I couldn’t imagine having any margin in my life – ever again. But you are also impacting others by being a fully present Mom and showing up for your own life. Being a hero can take on many different forms, can’t it. (and I promise your current stage will pass more quickly than you think). Thank you, Maryanna. That really means a lot. Your words mean so much, Ellen. I can not even imagine how many Moms you have ministered too within your role and also as an amazing person off-the-clock. Amazing! Thanks for noticing the mom struggling with the child in the store. Thanks, Shannon. My internal wrestling took me longer than it should have. Here’s to shortening response times to those inner promptings.